HTML to ePub Converter | Mac App Storeのアプリ検索・ランキング BuzzMac! iStonsoft HTML to ePub Converter is an excellent conversion tool which is specially designed for Internet surfing fanciers to convert HTML files saved from web page to ePub eBooks and enjoy them on ePub compatible devices anytime and anywhere. With the popularity of portable reading devices, reading eBooks is getting an indispensable part of our life for passing time. Most of us would like to view HTML web page news or short stories rapidly with eBook readers. Regrettably, many popular eBook readers don’t support HTML files. To resolve this problem, you’d better convert HTML to ePub. Convert HTML files to ePub format for easy reading on various mobile devices compatible with ePub. 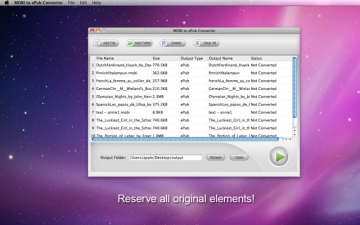 Mac HTML to ePub Converter helps you to preserve all the original elements of the HTML files after conversion, such as text, graphics, images, hyperlinks and layout. You can convert any number of HTML files to ePub eBooks at one time. Save time and effort by converting several HTML files to ePub files at once. 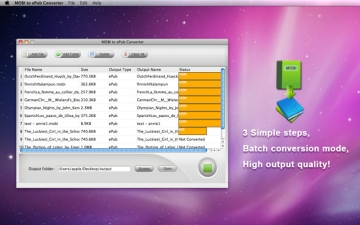 Processing excellent performance in conversion processing and super-high conversion speed will satisfy you greatly. Convert HTML to ePub with 3 simple steps, and support drag-and-drop operation. This HTML to ePub converter is the best assistant to help you convert HTML to ePub with fast conversion speed and best output quality. With the help of the HTML to ePub converter, you can freely convert HTML to ePub according to your requirement. 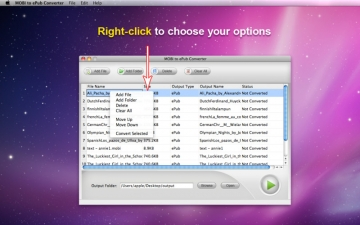 * Also need to convert Word, PDF, Text to ePub? 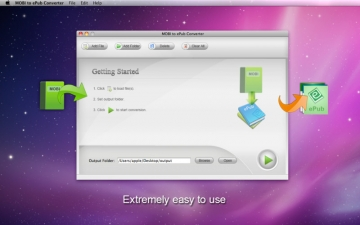 iStonsoft Product - ePub Converter available in the Mac App store. ***** ePub Converter - A powerful tool to create ePub books and accomplish you ePub format conversion perfectly! With it, you can build eBooks by converting multiple formats to ePub: Word to ePub, PDF to ePub, Text to ePub, HTML to ePub, MOBI to ePub, etc.